As I’m sure many of you know, having a website is important for any business. It can bring you in customers, raise awareness of anything you have going on, and generally build trust with the people you want to ‘impress’. Oh yer, and it can increase your income. As a musician, the same things apply. While having a Facebook and Twitter page helps in terms of additional ways to reach your ideal customers (people who like the kind of music you make, people who can help you get your music out there, event organizers etc), your website is what will really help you take those relationships and income to the next level. 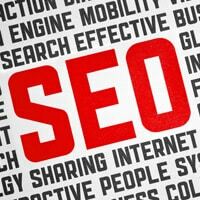 With that in mind, let’s look at 5 things which will make your website an even more powerful advertising tool. If you haven’t yet made a website, you can learn how to do that here. This is a subject I talked about in The IMA Music Business Academy, but so far not many other places on this site. It’s a trick not many musicians use, so pay attention and start implementing it in your music career asap as it can be very effective! As well as writing blog posts on where you’re playing and what new songs you have out, you should also put out some guides on things related to your genre of music. The reason for this is simple: When you talk about other things which people are already searching the internet for, people may come across your site. As what they’re searching for is related to the type of music you make, they would be the perfect person to introduce your music too. So say for example you make punk rock music. If you were to create blog posts on the ‘top 10 punk rock Gods of all time’, ‘the breakthrough punk rock acts of 2013’ and ‘best punk rock bands in *your area* (and include yourself of course), there is a chance you’ll find people are already searching for this kind of thing, and may come across your site. Then when they do you can also introduce them to your music as you know they are into that genre already. Adding this related content regularly (at least once a week, twice if you have the time) also starts building more ‘trust’ in search engines. This means the search engines will start ranking your content higher in their search results, which in turn means more people discovering your website and essentially your music. This is a good way to get targeted traffic in front of your music, so be sure to employ this strategy. One of the first thing you’ll want to do when getting your site up and running, is adding a mailing list. Mailing lists are a way to capture contact details of visitors to your website. While it’s good to have your fans on Facebook and Twitter, having their email address is still important for a number of reasons. First of all, those email addresses will still be there for years down the line, as long as you stay interactive with them and people stay interested in what you’re offering. On top of that, unlike Facebook and Twitter, the majority of people who you email will see your message. On facebook only a small percentage of your fans see your message, while on Twitter the same things happens (if they’re not online at the time most people will miss your Tweet). There are many other reasons why you should add a mailing list, but I’ve talked about that already here. While people are mainly on your site to learn more about you and your music, you don’t want to directly give people downloadable songs of yours. 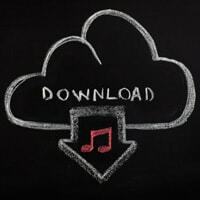 There is a good reason for this: If people look around your site and like you enough to download your song, they should also be willing to give their contact details in exchange for that. So what you want to do is include videos of your music a well as streaming songs on your website. But in order to download a song to play wherever they want, have them sign up to your mailing list in order to do this. I’ve looked more into how to do this in another guide I’ve written, so check that out. As well as getting fans on your mailing list, you also want them to go on and join your social sites. This is because the more places you’re connected with people, the more likely they’ll see your messages. So you want to have social buttons on your website for people to follow back. That said, simply having a small Facebook (etc) logo in your sidebar / header / footer isn’t going to do much in terms of getting new fans. Instead, you want to be bold with it. 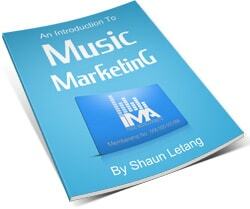 Look at each page on Music Industry How To. We provide a big Facebook Like Box at the top of each sidebar, as well as a sentence in the first paragraph of each chapter asking people to like our page (that gets added automatically using this WordPress Plugin). As you can tell, Facebook is my preferred place (second only to my mailing list) to communicate with reads. When people sign up to our mailing list, they also see a special thank you page which asks them to join us on Facebook, Twitter and Google Plus. This can be done inside your email marketing software; simply choose the option to send them back to a page on your site once they’ve signed up, and on that page add your social boxes. Lastly, as you start to get more fans, you’ll want to included a special members area for those of your most dedicated fans. It’s up to your whether you charge fans for this or not. If you do, the financial side of things is an obvious incentive for you to do this. If not, getting members is still good for making people feel like they’re part of something special, and also a good way to make them loyal to your brand. Software such as Digital Access Pass can help you create a membership area; this is the same software I use for the members area on Music Industry How To. 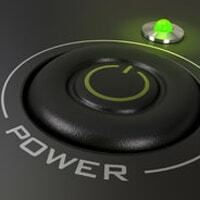 So there you have it, 5 top ways to make your website a more powerful advertising tool. You should try and implement as many of these as possible, but at least ideas 1-3 for the biggest impact. Then number 4 when you have time, and number 5 if it fits into the kind of site you wish to run.